What a great day to appreciate the world around us. I look out our living room window and this stained glass piece reminds me of the blessings of our Earth. This morning during yoga class at Bodhi Yoga,I was teaching tree pose and thinking of the many "Tree of Life" windows we have built. I can't stop designing on that creative idea. 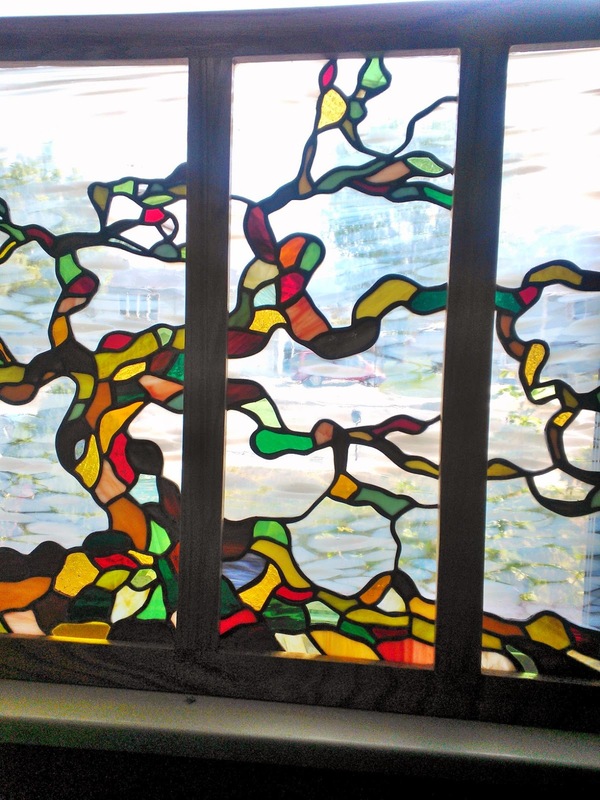 Here is the Ginko window to whet your whistle for more examples on our web site. www.gsg-art.com.